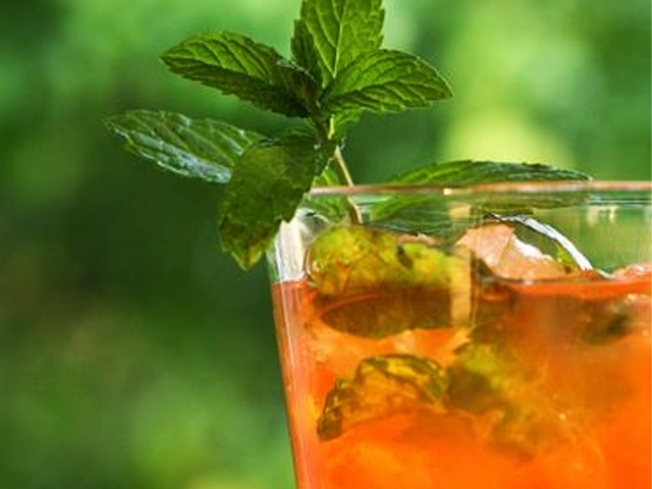 The Bartender's Garden teaches you how to make the boozy most of summer's bounty. ISLAND JIVE: For its Annual Caribbean Night, the Martin Luther King Jr. Concert Series serves up Jamaican dancehall crooner Sean Paul [UPDATE: SEAN PAUL HAS CANCELLED HIS MLK jr APPEARANCE], with calypso virtuoso The Mighty Sparrow (a.k.a. Dr. Slinger Francisco) opening; if this isn’t summery music, we don’t know what is. Bonus: Borough Prez Marty Markowitz shaking his thang. Wingate Field, 7:30PM. CHECK MATE: Didja know Daryl Hannah – actress, mermaid, ex-gf of JFK, Jr. – designs board games now? Yup. She and fellow thesp Hilary Shepherdwill present their new game Liebrary (a sort of literary Balderdash) at the Lincoln Triangle Barnes & Noble tonight. 7:30PM.